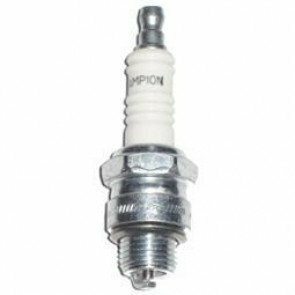 Champion Spark Plugs is a well - known American brand of spark plugs (sometimes known as a sparking plug). Albert Champion (born in Paris on 4 April 1878 - 26 October 1927) began his career as a road bicycle racer. He was a top French cyclist who won major races and became involved in auto racing. Champion came to America in 1899 to avoid conscription and participated in races. Champion began to make his own bicycle parts as he found the parts hard to find in America. He found out all he could about engines to ensure his performance was the best it could be and this included the spark plugs! He began making spark plugs to sell to his friends. Champion quit racing but continued designing and manufacturing spark plugs and magnetos. In the early 1900's, Robert A. and Frank D. Stranahan invested in Champion's business. Champion left the Stranahan brothers' company but the brothers' continued to manufacture the spark plugs under the Champion name. In 1909, Robert Stranahan designed and made his own spark plug called the Champion X as he was disappointed by the quality of imported spark plugs. It was an immediate success. 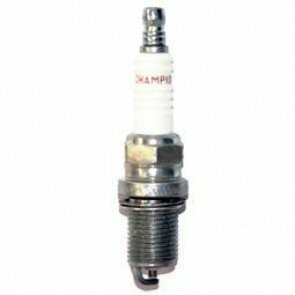 In 1937, a Champion Spark Plug factory was established in Feltham, Middlesex. This is the first plant outside North America. In 1965, growing sales in Europe led to a new plant at Peronnes - Lez - Binche, Belgium which complemented Champion's UK facilities to supply the markets of Europe and Africa. In 1968, a second British Champion Spark Plug factory was built on farm land at Arrowebrook Road, Upton, Wirral, England employing up to 1,000 people. As well as the spark plug assembly plant, the site accommodated a major ceramics manufacturing facility. When the factory closed in 2006, production was moved to Italy. United Motors Service was renamed United Delco Division in 1971. After this, the AC Spark Plug Division and United Delco formed the company AC - Delco. AC - Delco provides parts for non - GM vehicles. It has a long history and has been known as United Delco, United Motors Corporation and United Motors Service. In 1989, Champion was bought by Cooper Industries which was then bought by Federal - Mogul Corporation in 1998. Albert Champion's name still lives on to this day as the name Champion is still used. Champion has continued to be a name synonymous with transport. 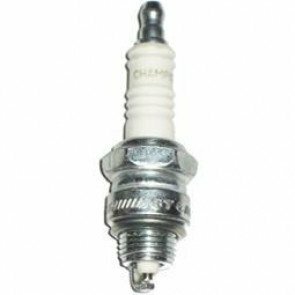 It still provides spark plugs for every kind of combustion engine including cars, marine, aviation, trucks, racing and SUVs. The Green Spark Plug Company and Champion. The Green Spark Plug Company is able to stock the full Champion range and can source most items if we haven't them currently in stock. 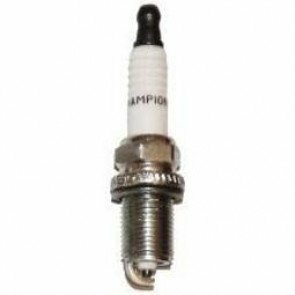 The Champion range provides spark plugs for automotive, power sport engines, lawn and garden, commercial, agricultural and industrial engines. Iridium - Almost 30 years ago, Champion established the use of iridium in aviation and industrial applications. It now offers the ultimate performance regardless of ignition or engine type. - Champion Iridium centre electrode and platinum ground electrodes provide maximum life and produce the sharpest spar focus. - Champion have an exclusive Heat - Active alloy. This ensures operating temperatures are quickly reached and maintained even with varying engine loads. Double Platinum Power - the centre and ground electrodes both feature platinum which ensures longer life and durability. - Nickel alloy centre electrode has a platinum fine wire welded onto it and the ground electrode has a platinum pad welded to its surface. This fine wire centre electrode and V - trimmed ground electrode produces sharp spark focus. 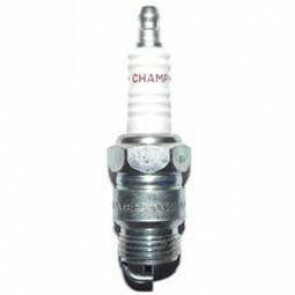 - This range of Champion spark plugs also has the exclusive Heat - Active alloy. This ensures operating temperatures are quickly reached and maintained even with varying engine loads. Platinum Power - Champion recommends these spark plugs as an upgrade for vehicles equipped originally with nickel or copper technology. - thin - walled, nickel alloy centre electrode and V - trimmed ground to produce sharp focus. - exclusive Heat - Active alloy. This ensures operating temperatures are quickly reached and maintained even with varying engine loads. 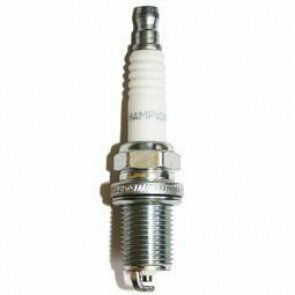 Copper Plus - Champion suggests these spark plugs as a good choice for OE - replacement on garden and lawn applications, older automotive engines and silar engines. Lawn, Garden and Agricultural Spark Plugs. Champion spark plugs can be used in small engines including tractors, chain saws, leaf blowers, lawn mowers and snow blowers. 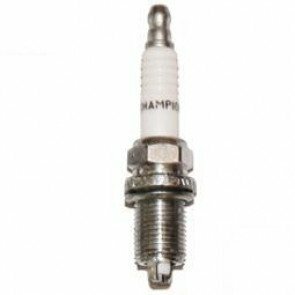 Champion provide spark plugs for all marine applications such as inboards, outboards, diesel engines that require glow plugs, jet boats and other watercraft. These marine plugs increase performance and plug life and sustain accurate control of heat range. 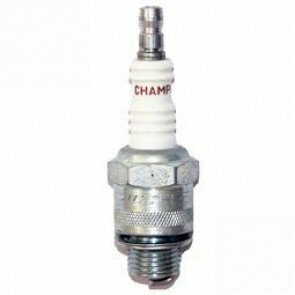 This range of Champion spark plugs also has the exclusive Heat - Active alloy. This ensures operating temperatures are quickly reached and maintained even with varying engine loads.